U.S. Will Stand With Ukraine, But Will It Fight? WASHINGTON, DC -- How many U.S. troops in Europe does it take to deter Russia? Its annexation of Crimea has the Pentagon, analysts, even graduate students pondering Russia's next move. And how and whether to counter it. There are about 67,000 U.S. troops in Europe and 12,000 civilians, according to Navy Capt. Greg Hicks, a spokesman for U.S. European Command. That's down from a Cold War peak of 400,000 in 1955 and about 100,000 several years ago. U.S. troop numbers in the region aren't the key to deterrence, says Stephen Biddle, a military analyst at the Council on Foreign Relations. The issue is how much America is willing to risk to counter Russian President Vladimir Putin's aggression in eastern Europe. 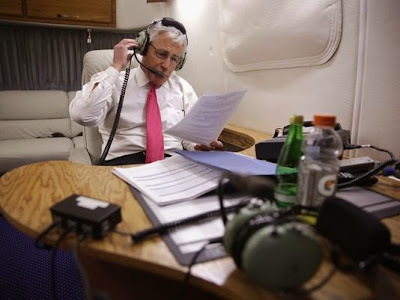 On Thursday, Defense Secretary Chuck Hagel spoke by phone with Ukraine's Acting Minister of Defense, Mykhaylo Koval. Hagel assured him, per the Pentagon, that "the United States will continue to stand with Ukraine." "We could have 500,000 troops in Germany, but if Putin thinks we won't fight for Ukraine then he's not deterred," Biddle said in an email. "If we're willing to fight for Ukraine, we could surely eject a Russian invasion force given some time to deploy, whether today's EUCOM force is augmented or not. But this would risk nuclear World War III over a country that the great majority of Americans are unwilling to fight for. That's the real problem here, not the size of U.S. forces in Europe." At Columbia University, graduate students have been pondering the problem with the help of Michael O'Hanlon, a military analyst with the Brookings Institution. They looked beyond Ukraine's borders to NATO's American allies. An attack on one of them, according to the treaty, is an attack on all 28 member countries. O'Hanlon sided with the majority of the students who believe Russia would stop short of threatening a NATO ally. But a minority made the case that "Russia might be able to act successfully before we could mount a countervailing capability — forcing us to risk major escalation to liberate them," O'Hanlon said in an email. In the end, O'Hanlon said, there should be a debate about permanently stationing hundreds or a few thousand U.S. troops stationed permanently in the Baltic states or Poland. With little or no armor, they could serve as trainers and act as a "tripwire" to deter further aggression by Russia.